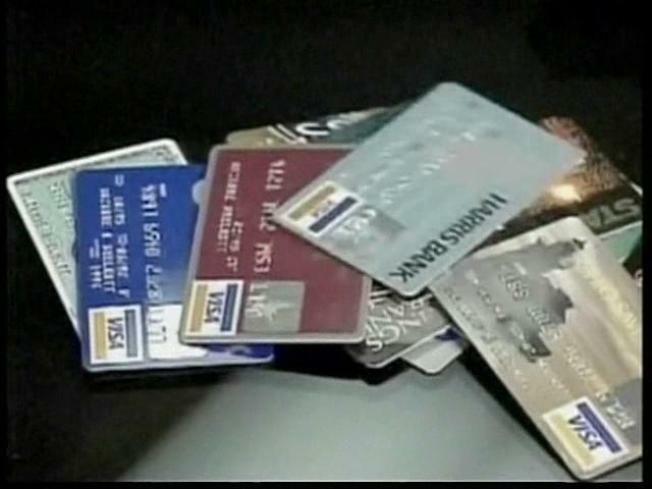 The average American owes $3,700 on credit cards at an interest rate of 14.9 percent. Aaarrrrgggghhh, credit-card debt be a pernicious foe. Yes, that’s my best pirate voice. It just feels like an appropriate voice to use when gearing up for a fight. In her new book “The Real Cost of Living: Making the Best Choices for You, Your Life, and Your Money,” personal finance expert Carmen Wong Ulrich provides a startling wakeup call about the insidious nature of credit-card debt. Ulrich notes that the average American owes $3,700 on credit cards at an interest rate of 14.9 percent. By just making the minimum payments on that debt, a consumer gets hit with $758 in interest payments — bringing the total price tag up to a whopping $4,458. This stinks, of course, and it’s certainly a scenario to avoid at all costs. Most of us know we’re supposed to make more than the minimum payments due on our credit cards whenever humanly possible. But when money’s tight and jobs are scarce, it’s easy to get stuck treading water — sometimes for months in a row. It can be awfully difficult to navigate a path out of minimum-payment purgatory. That’s where a site like LowCards.com can be helpful. The site rigorously compares credit cards’ interest rates and other features and acts as an advocate for consumers, helping people see what to do first, second and third so they can avoid or climb out of unpleasant credit-card traps. 1. Know how much you owe. Collect each of your bills with outstanding debts including all credit cards, mortgage, student loans, auto loans, personal loans, and bank loans. Create a list of all the creditors with monthly payment amount, balance, interest rate, and credit limit for each. Verify the payment due dates and the status of the account. 2. Prioritize which bills to pay first. If you can’t pay off all your monthly bills, first pay the bills that are a necessity for health, shelter, basic groceries and basic transportation. Then pay the secured loans such as your car loan. Payments on unsecured loans, such as most credit cards, should come last in these critical situations. 3. Obtain a free copy of your credit report and review it. It may contain an error that is creating a lower credit score that is leading to higher interest rates on your loans. If correcting the error results in a higher credit score, contact your creditors to make sure they know about your improved score. 4. Contact your creditors to negotiate lower rates. The less money you pay in interest, the more money you have to pay off your bills. If you are in danger of missing a payment, contact your creditors as soon as you realize you have a problem. They may be willing to work out a payment plan, lower your rate, or lower your monthly payment. Explain that you are in debt, the steps you are taking to repay it, and what you can pay today. If you request a lower interest rate and get turned down, politely ask to speak to the supervisor and ask again. Document all conversations, including whom you spoke with, and the date, time, and the results. 5. Pay more than your minimum. Your minimum payment is usually only 2 percent to 5 percent of your balance. At this rate, it will take many years to pay off your debt. In fact, your credit card bill now shows exactly how long it will take. You may be surprised about how much you will pay in interest payments by paying just the minimum payment each month. 6. If you have multiple credit cards with outstanding balances, focus onpaying off the card with the highest interest rate first. Continue to pay the minimum on your other cards until the card with the highest rate is paid off, then focus your effort on the card with the next highest interest rate. Keep your oldest credit card accounts open and occasionally use them to buy a magazine or a movie ticket — just pay it off each month. This may help improve your credit score. 7. Check into transferring your balance to a card with a lower interest rate. If your rate is above 15 percent, it could pay to transfer the balance for that card to one that offers 0 percent APR for at least 12 months for balance transfers. Citi Platinum Select currently offers a 0 percent rate for at least 21 months. To take full advantage of this 0 percent interest, pay as much as you can above the monthly minimum. Only use this card for the balance transfer, not additional purchases. Pay attention to the balance transfer fee. At the beginning of 2009, the industry standard for a balance transfer fee was 3 percent; now several issuers have increased that fee to 4 percent. To read more tips about reducing debt in the new year from LowCards.com, click here. Need a Coffey break? Friend TODAYshow.com writer Laura T. Coffey on Facebook, follow her on Twitter or check out her blog posts on Life Inc.